Modern and complex information security system integration for the New Urengoy high schools. Advanced proactive information security system integration for New Urengoy schools workstations capable of preventing any unauthorized actions in the system. 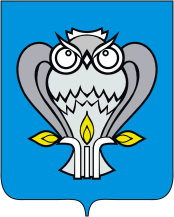 New Urengoy high schools № 3, 7, 13, 20, 34, 50, 59, 61, 63, 66 are municipal educational institutions. Installed product is ready to work on any personal computers and laptops of the organization regardless of the installed software. Possibility of the centralized administration introduced to the network. Product adapted to the needs of students and teachers. Product protects workstations from hacker attacks and malicious software effectively and without the need for updates. Product includes anti-virus scanner that negates the need for additional purchase of third party anti-virus. Project implementation period was 3 months. Enterprise Suite PLUS that includes anti-virus scanner.